100 Watts on tank atomzier??? Yes!!! With newest Arctic Sub Ohm tank by Horizon Tech! 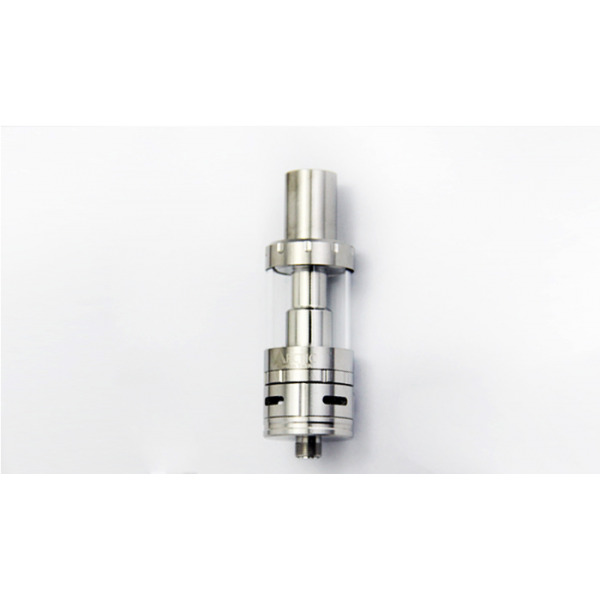 It comes with replaceable bottom verical dual coils - available in 0.2Ω and 0.5Ω, that allows to go up to 100 Watts. 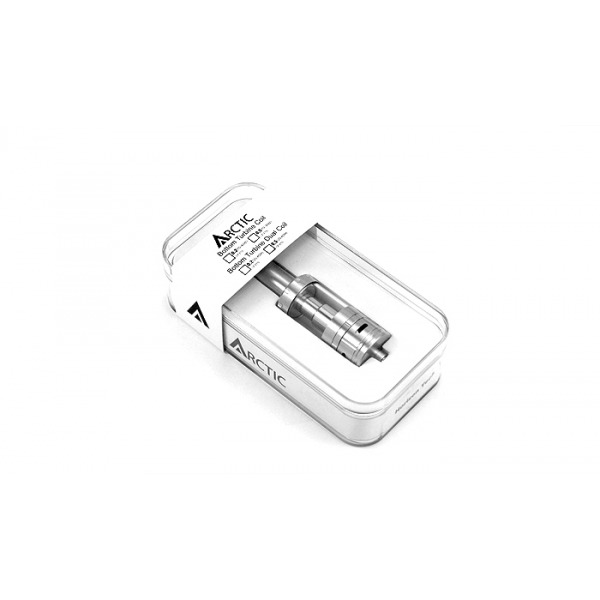 Build with organic cotton and USA made Kanthal wire, stainless steel body and pyrex glass tube. 4 large 3mm wide airflow holes and hugh juice holes! Arctic BTDC replacement coil. 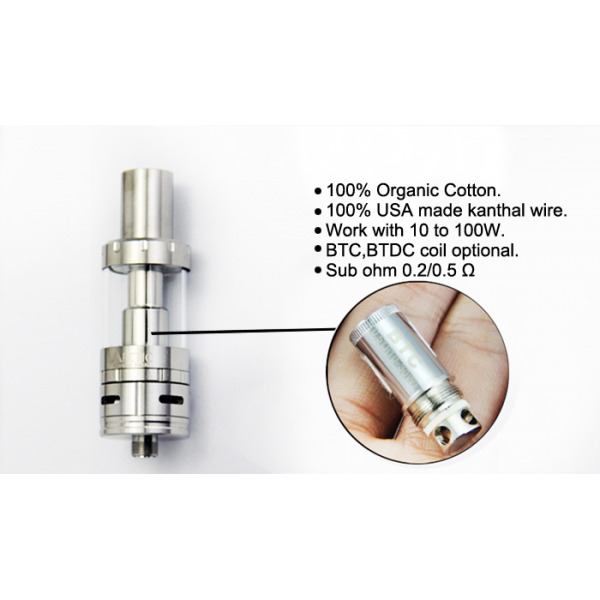 0.2Ω and 0.5Ω "Bottom turbine dual coils", allows you to go up to 100 Watts!